If you finding yourself needing to post bail for someone you have likely just received a phone call from that loved one who has been arrested. While the first emotion that goes through your mind might be related to anger, you'll soon realize being upset won't solve anything. This can be a very difficult time for a family, but remember to take a deep breath and understand that you don't have to go through the bail process alone, as a bail agent will be happy to assist you. Here is what you can expect following the arrest of a loved one. In order for there to be a need to post bail there would have had to have been an arrest. Following the detainment of a criminal suspect the person will be transported to a local detention center for booking and arraignment. The booking process usually involves taking all of the suspect�s personal property, collecting their fingerprints and placing them in a holding cell. During the arraignment, which generally occurs in front of a judge, they will learn the charges they are facing and what their bail amount is. Some jurisdictions use a bail schedule to predetermine the bail amount based on the criminal charges. At this point the person can be bailed out of jail. It should be noted that some suspects are denied bail by a judge if they are deemed a risk to society or if it is believed they will flee. There are multiple ways to post bail, but in general two common methods. The first is a full cash bond, in which the entire bail amount needs to be paid in cash. Using this method you generally get the full dollar amount back, minus any court fees, once the case is resolved. However, bail amounts can be quite high, so it is often difficult for a person to quickly come up with the necessary money. The second common method of posting bail is to use a bail bond. To do this you will need to connect with a professional bail bond agency, and provide them with the necessary information and pay a one-time, non-refundable fee of about 10% of the total bail amount. Once this bond is posted your loved one will be released. After you post bail for your loved one, you are responsible for their presence at any upcoming court dates. If they are to miss any scheduled court appearances they will likely have a warrant issued for their arrest and be returned to jail. If you need to post bail in Kelseyville or the surrounding California communities reach out to Rob Brown Bail Bonds. Our professional bail bond experts will be happy to answer any questions and help you day or night. 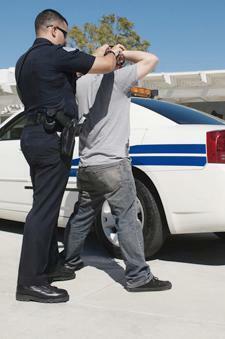 To request a California bail bond give us a call at (707) 587-4563 today.